Aici găsiţi descrierea meditaţiei în limba română: Meditaţia Chakra Loops. This meditation technique uses breath to bring awareness to the chakras and to connect their energy. 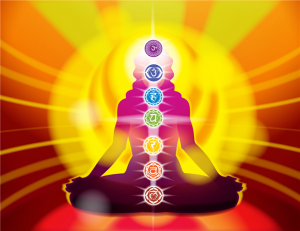 It is similar to OSHO Chakra Breathing meditation, but in this case the process is deeper and the chakras’s energy becomes connected, bringing harmony to all the seven chakras. Stand relaxed, with feet shoulder-wide apart. Start to breath deep, on the mouth, without pausing between in-breath and the out-breath, through the chakras, as it will be explained bellow. (If it’s difficult for you to visualize breathing through a chakra, just bring your attention in the body area corresponding to that chakra(s) ). The in-breath will be on a chakra, and the out-breath on another chakra. You will breath successively on adjacent chakras (for ex. 1 with 2, 4 with 5) and on more distant chakras (for ex. 1 with 3, 2 with 4). In this way you’ll awake and combine the energies of different chakras, using the more open and strong ones to open and energize the weaker and less open chakras. Start with the first chakra – breath in and out on the chakra 1. Go again to next chakra with breathing out – for ex. breath in in chakra 1 and breath out in chakra 3; this way you will make a big loop, by connecting non-adjacent chakras. Go to next chakra with the breathing in – for ex. breath in in chakra 2 and breath out in chakra 3; this way you’ll make a small loop, by connecting adjacent chakras. At the end we breath in in the first chakra and breath out in the seventh chakra, involving the whole body; this way you’ll connect all the seven chakras. Repeat this cycle three times. 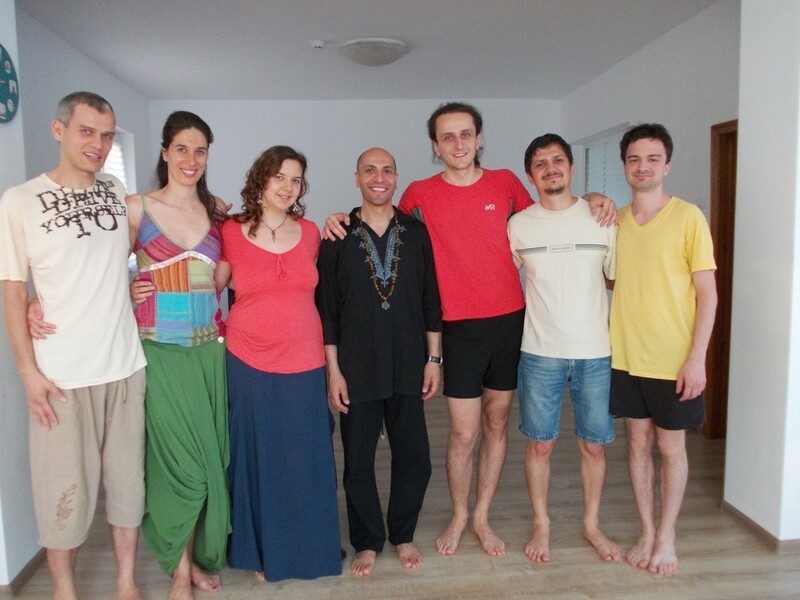 The whole process is guided on the audio track, and also a OSHO Joy facilitator will guide you step by step. Sit, with closed eyes, be silent and watch whatever is happening inside.